To extend the availability of its product and services in South America, Wentworth Laboratories, a leading provider of wafer probers and probe cards, has appointed HTMG as their new local representative for Argentina, Brazil and Columbia. 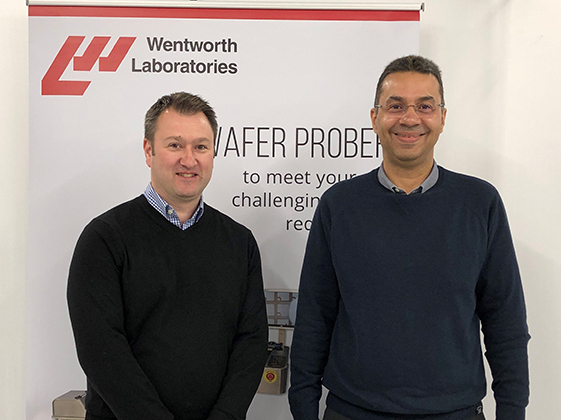 This addition to Wentworth’s global network of representatives forms part of the company’s strategic plan to increase the world-wide availability of support for its range of wafer probe stations and cantilever probe cards. With headquarters in Sao Paolo, Brazil, HTMG, brings over 20 years of experience of working with technology businesses in South America to Wentworth’s growing customer base. Led by Managing Director, Claudinei Martins, HTMG has a strong reputation for providing fast, creative and effective solutions to demanding customers in a diverse area of high-end technology.